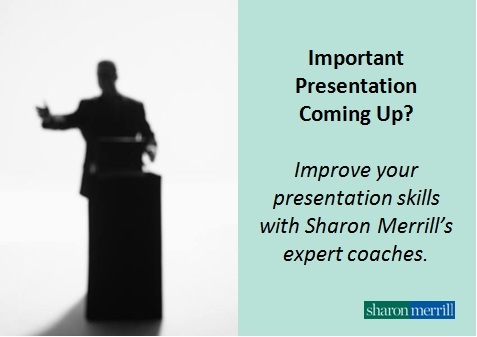 The ability to deliver a captivating presentation, whether at meetings, investor conferences or in a more personal one-on-one setting is challenging for most. Even those who are naturally gifted still need to practice to be their best. New England Patriots Coach Bill Belichick held two press conferences to address the “deflate-gate” controversy that has taken over sports headlines since the Patriot’s dismantling of the Indianapolis Colts in the AFC Championship game. The Patriots, and Belichick as its head coach, are accused of underinflating game-day footballs against league rules. After nearly a week of increasing hype and Patriot’s silence, Bill Belichick took the podium on Thursday morning in an attempt to quell the deflate-gate firestorm. His performance was lacking both in content and delivery and, thus, only fanned the sports talk radio flames that had been raging since the crisis broke. Then, in a surprising move, Belichick returned to face the cameras again on Saturday. He performed better in his second press conference and public reaction was more positive. Let’s take a look at some “lessons learned” from both of Belichick’s press conferences during the Patriot’s deflate-gate crisis. We’ve all seen bad investor presentations at various conferences. But what makes them bad? The purpose of an investor presentation is to convey the company’s investment thesis. If the presentation does not succeed in articulating the investment thesis in a memorable way, it has failed. So how do we ensure good presentation slides — and success? In the video below, Executive Vice President & Partner David Calusdian offers up some advice. How Do I Know You’re Lying? Your Body Told Me So. In business, people aren’t always completely honest. I know…stop the presses! As investor relations professionals, we are constantly playing a poker game with Wall Street. So how do you know if someone is not being completely truthful with you? Read their body language. Nonverbal communication, or body language, often sends a different message from the spoken word. The way a person shakes hands, gestures while talking, or even crosses their legs, sends subtle but clear signals about the real meaning behind the message. Even a simple touch of the nose may indicate that a person is being untruthful. Many Wall Street firms have hired body language experts to train analysts and portfolio managers to identify the nonverbal cues that executives give. So it’s beneficial for CEOs and CFOs to recognize these signals, to ensure they aren’t unwittingly conveying the wrong message.